Fixing unexpected quits and launch issues in iTunes for Windows 10 can be problematic. The issue gets worse when iTunes not open on Windows 10, stops responding or unexpectedly quits at the middle of backup or file restore. Incomplete installation of iTunes or its related software components. 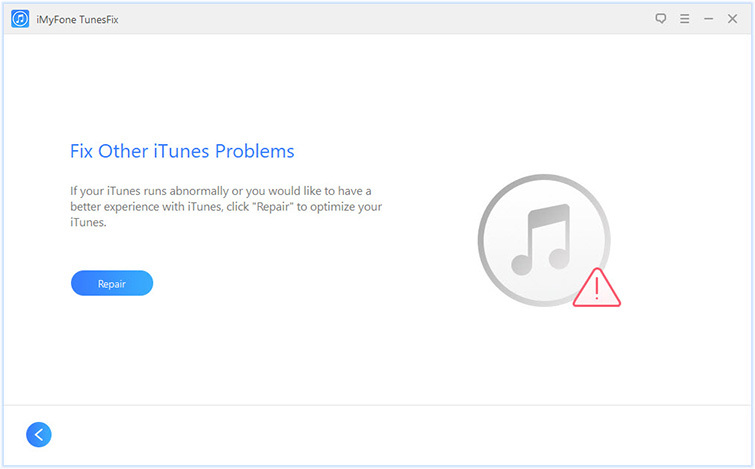 iTunes software may be malfunctioning due to error or bug in iTunes account or iTunes library. Windows Firewall may be blocking iTunes from opening. Windows 10 drivers may not be up to date. Windows 10 network settings may not be right. You may have tried many solutions described on media forums and Google search results but they may not be viable enough to fix iTunes won’t start on Windows 10. What then can you do to fix this issue? The following paragraphs hold the solutions to iTunes not open Windows 10. Don’t get frustrated over “iTunes won’t open on Windows 10”, all you have to do is to follow the tips shared below to access your iTunes fully again. iMyFone TunesFix is the primary solution for all iTunes issues and errors like iTunes won’t open on Windows 10. If all the solutions you’ve seen online and on Apple discussion forums have failed you in launching your iTunes or booting it, then use an advanced solution – iMyFone TunesFix to repair iTunes. You can get through annoying iTunes errors on any Windows 7/8/10 PC by installing and running TunesFix on your computer. Many iTunes users who have tried TunesFix confess that this program auto detected the fault with iTunes, one-click fixed the issue, there was no data loss after fixing iTunes, and it fixes all iTunes errors. Fix 100+ iTunes errors and issues including unexpected quits and launch issues in iTunes. Repair all iTunes errors and issues without tampering with your iOS data, files and information. It recovers your PC hard drive space occupied by iTunes junk and redundant files. Offer you a One-Click feature like no other app, and it quickly fixes your iTunes in no time. It can completely uninstall iTunes and all its related components. Step 1: Launch TunesFix and it will detect your iTunes automatically. If there is issue, click “Repair” to fix. If there is no issue, go to the home interface. 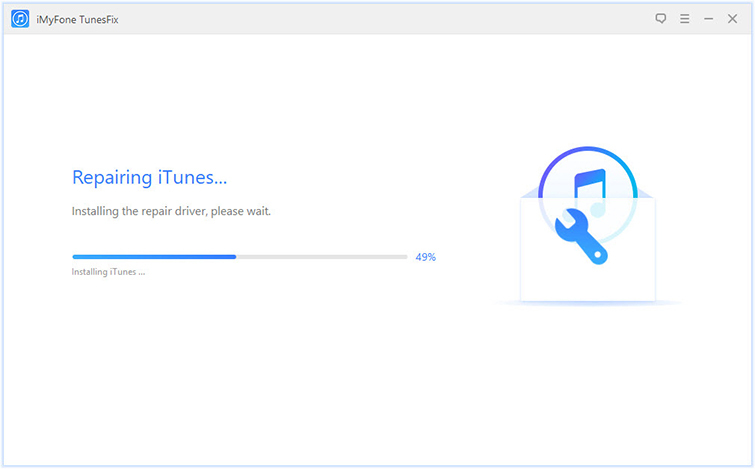 Step 2: Choose “Fix Other iTunes Problems” and click “Repair” to let TunesFix repair your iTunes. Please, ensure you have a stable internet connection during the repair process. Step 3: Once done, click “Open iTunes” and your iTunes will launch successfully. If you would like to try some tips before acquiring the ultimate solution to all iTunes problems – iMyFone TunesFix, then follow these tips to get your iTunes opening again. 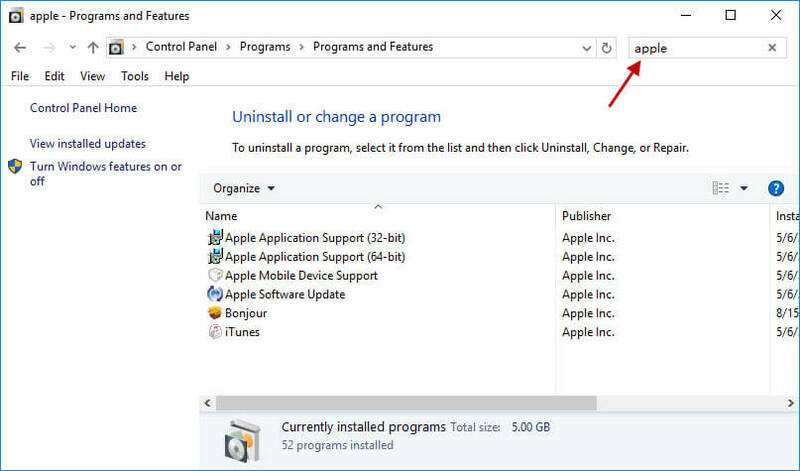 Here are the steps to uninstall iTunes and its related components from your PC, and install them back. NB: Using TunesFix to uninstall/reinstall iTunes will give you a better result. Step 1: Go your Windows 10 Search bar and type “Control Panel” then click the on it when it appears in the search result. Step 2: Click “Programs”, search for the following software, and uninstall them in the following order. Step 3: Open Local Disc C, search and delete the folders: iTunes, Bonjour, and iPod if they exist. Then go to “Common File” folder and delete Mobile Device support, Apple Application Support, and CoreFP. Step 4: Restart your Windows 10 PC. Step 5: Go to www.apple.com and download iTunes. Open it and install it on your PC. Windows 10 firewall is the reason why iTunes is not opening in most cases. Therefore, reconfiguring your firewall to permit iTunes can help solve this issue. Step 1: Type “firewall.cpl” into Windows’ search bar, and click on it to open it. 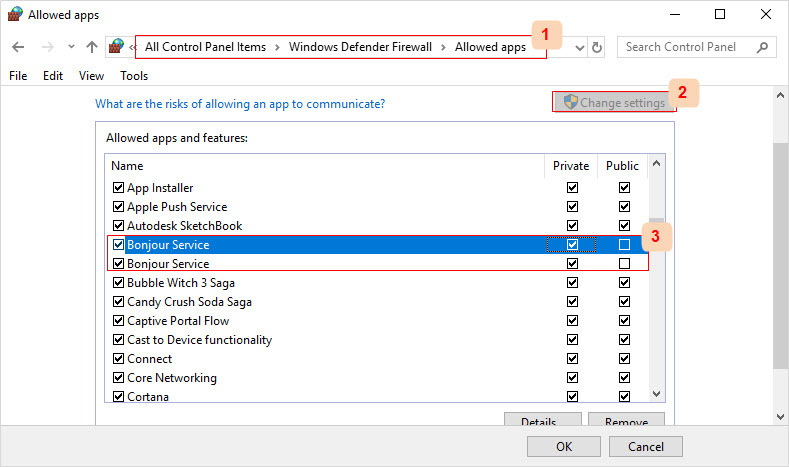 Step 2: Click “Allow an app or feature through Windows Firewall > Change settings”. Step 3: Select iTunes for both private and public networks, and then Bonjour for the private network only. If iTunes and Bonjour aren’t in the list, click “Allow another app” then click Browse and go to “C:\Program Files\iTunes\” and “C:\Program Files\Bonjour\” for iTunes and Bonjour respectively. Select iTunes/Bonjour then click “Add” to add it to the list of programs. Step 4: Click “OK” and close the firewall window. The above tips and tricks will make your iTunes open and work again, but it may not solve the issue with iTunes. Hence, we encourage you to purchase iMyFone TunesFix to fix and solve all iTunes issues from the root.